In his posthumous autobiography, Watakushi no eiga jinsei (1984), Yamamoto reflects on his career and legacy: beginning in the prewar days as an assistant director in a well-established film company under the master Naruse Mikio, to his wide-ranging experiences as a filmmaker, including his participation in the tumultuous Toho Labor Upheaval soon after Japan's defeat in World War II and his struggles as an independent filmmaker in the 1950s and 1960s before returning to work within the mainstream industry. In the process, he established himself as one of the most prominent and socially engaged film artists in postwar Japan. Imbued with vibrant social realism and astute political commentary, his filmic genres ranged widely from melodramas, period films from the Tokugawa era, samurai action jidaigeki, social satires, and antiwar films. Providing serious insights into and trenchant critique of the moral corruption in Japanese politics, academe, industry, and society, Yamamoto at the same time produced highly successful films that offered drama and entertainment for Japanese and international moviegoers. His considerable artistic distinction, strong social and political consciousness, and filmic versatility have earned him a unique and distinguished position among Japan's world-class film directors. 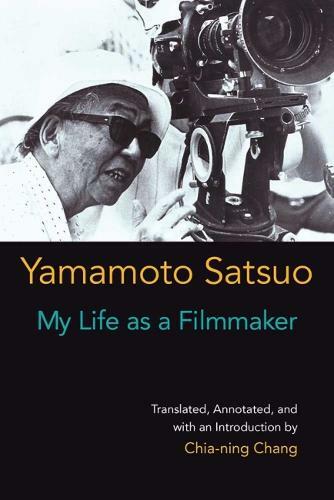 In addition to detailed annotations of the autobiography, translator Chia-ning Chang offers a comprehensive introduction to the career and the significance of Yamamoto and his works in the context of Japanese film history. It contextualizes Yamamoto's life and works in the historical and cultural zeitgeist of prewar, wartime, and postwar Japan before scrutinizing the unique qualities of his narrative voice and social conscience as a film artist.